EQUIPMENT AND TRAINING PURCHASED FOR THE WLTPD THE BY THE "FRIENDS OF THE FORCE"
This equipment allows for extremely accurate, and precise alcohol testing with local access to previous test results. Adapts to both transportable and fixed-site testing. Eventually six of these PocketJet Thermal Printers pictured above will be purchased by the FRIENDS OF THE FORCE to interface with the GETAC F110 Tablets. Securely mounted on the Docking Station, traffic citations can be conveniently printed on site eliminating hand written tickets and greatly improving efficiency. Recognizing Emotional and Psychological Distorders, Cultural Awareness, Improving Communication Skills, Crowd Control, Active Shooter, Defensive Tactics, Gangs, Narcotics Enforcement, Pursuit, Tactical First Aid, Terrorism, Real-Life/Reality Video Training, Traffic Stops and Safety. Pictured above is one of the Public Safety Lockout Tool Kits the "Friends of the Force" purchased for the WLTPD. 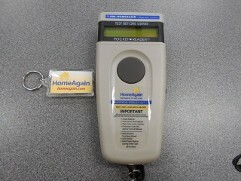 These kits are lifesavers when your child or pet is locked in your car with the windows closed. On a summer day the inside temperatures can easily reach 120 degrees. 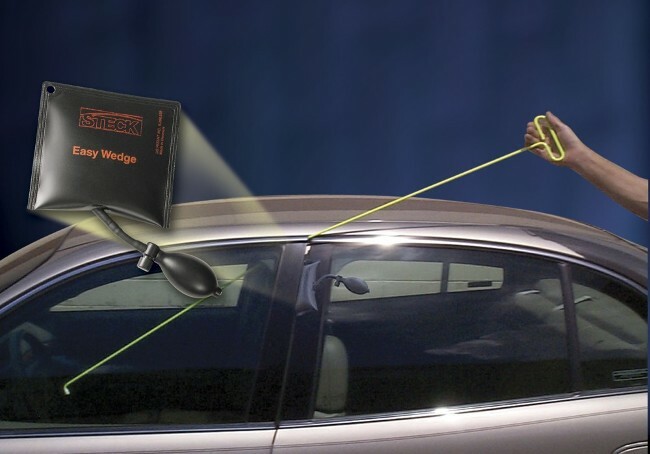 These kits make unlocking cars quick and easy with no damage to the door or weather stripping. 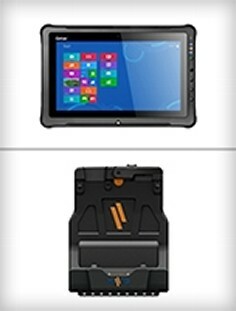 To the left on top is pictured the GENTAC F110 11.6" Windows Tablet purchased by the Township for one of its patrol cars. Eventually all six patrol cars will be equipped with these tablets. Below to the left is pictured the Docking Station purchased by the FRIENDS OF THE FORCE to safely and securely mount these computers. 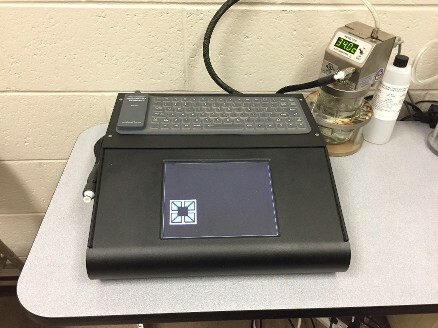 They will provide a convenient location in the patrol car for tablet charging and connection to essential peripherals, such as printers, keyboards and scanners. 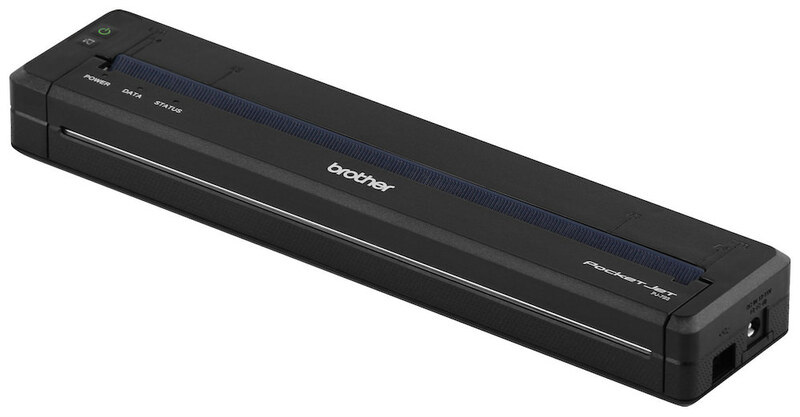 Eventually there will be six Docking Stations, one for each patrol car. 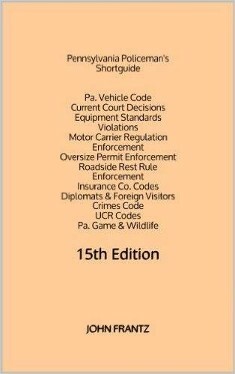 These quick reference guides are an essential tool for all Pennsylvania law enforcement officers. Each WLT officer can easily carry their own guide in the trouser pockets of their new Class B uniforms. To the left is the index showing the various codes and regulations that can easily be retrieved when needed. 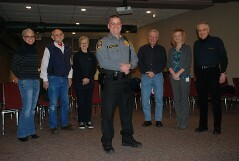 Chief Wiczkowski is shown wearing the new WLTPD Class B working uniforms purchased by the FOF. 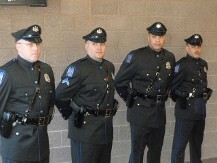 These uniforms are more durable, comfortable, and are better suited for the various field environments the officers are placed in. While more rugged, these uniforms will still project a practical, street friendly, but at the same time, professional appearance. 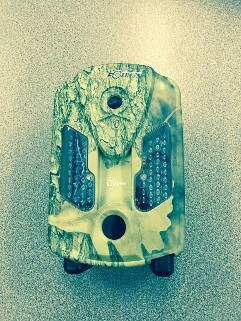 This 10 megapixel trail camera takes full High Definition video with sound and stamps date and time on every picture. The detection sensor can be adjusted from 5 to 65 feet allowing for remote surveillance of property or businesses where illegal activity is suspected. This Microchip Scanner gives our officers the capability to scan missing pets that are currently chipped and help get them back to their owners much quicker. 1 in 3 pets goes missing during their lifetime, and without proper ID, 90%never return home. A microchip for dogs and cats gives the best protection with a permanent ID that can never be removed or become impossible to read. These signs catch the attention of the highest risk violators with a bright , flashing strobe. They assist in gathering vital traffic data and can be programmed to display traffic conditions, road hazards, or up and coming township events. 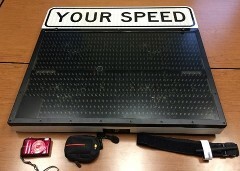 The sign will complement the speed timing radar trailer. Easy to mount, they can be placed on existing poles or sign posts and location where our radar trailer is too wide for road conditions. Six Nikon digital cameras and cases to be placed in ready bags of cruisers. Patrol officers will have easy access to these cameras for taking onsite instantaneous photos of accident or crime scenes before any changes can occur. 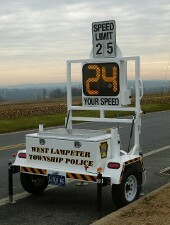 Decatur 350 On-Site Radar Display Speed Timing Trailer to be used for the purpose of advising motorists of the allowed speed and their current speed while traveling on roadways throughout the township. This portable, stand- alone, solar powered speed timing radar unit trailer provides affordable traffic control where needed. The unit is in demand for use near our schools and other high traffic volume areas and greatly contributes to reduced speeding, collisions, and injury. Two Baker Ballistic Shields offer increased protection to officers during high risk approaches to armed individuals. 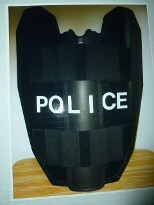 These shields offer a lone law enforcement officer extensive ballistic coverage and provides a natural two-handed weapon platform. Rated NIJ Level IIIA, these shields provide reliable protection against most handgun and shotgun threats, as well as blunt trauma injuries. The Friends of the Force purchased three Pro-Gard Rear Transport Seats and paid for their installation in three of the patrol vehicles. 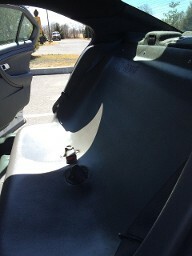 These rear seat covers provides a safe and hygienic means for the officers to transport prisoners. They are molded from sturdy ABS plastic and provides a quick and easy means for cleaning and sanitizing the prisoner transport area over and over again. The seamless construction eliminates potential gaps and crevices where contraband such as drugs or evidence might otherwise be hidden as is possible in a standard rear seat. Unit. These official ceremonial uniforms not only convey the department's respect but also promote civic spirit and pride between our citizens and the police. 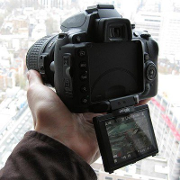 This state of the art Nikon D5000 Digital Camera will be used primarily to photograph crime and accident scenes with the capability of panoramic shots, as well as highly detailed close-ups such as finger prints. 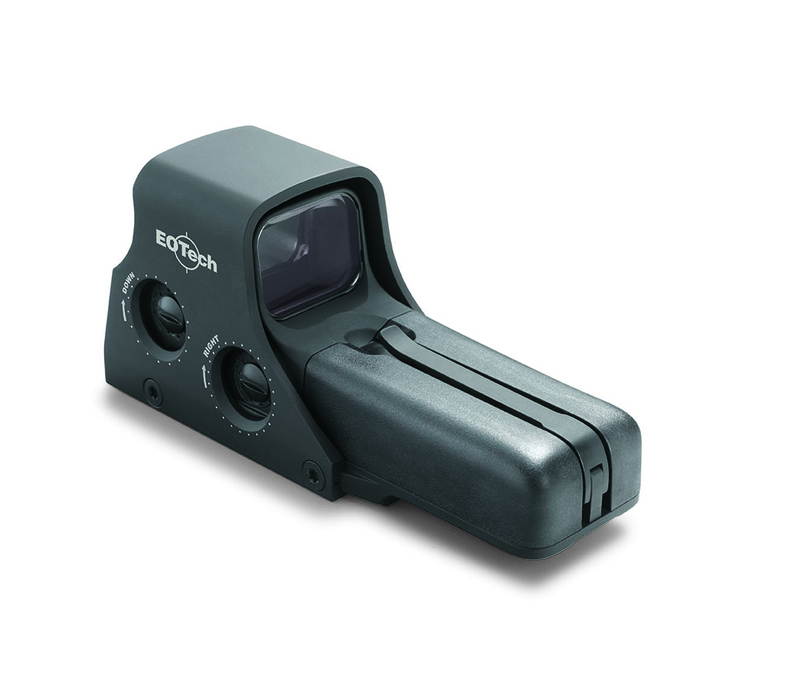 The quality photographs produced by this camera will greatly assist in evidence collection and investigations of crime scenes and serious accidents. 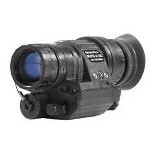 This PVS-14 Night Vision Monocular Optic is the department's first hi-tech night vision optical device. 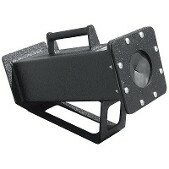 Indispensable for locating suspects or missing persons at a great distance in limited lighting conditions, this model is currently in use by US Armed Forces. 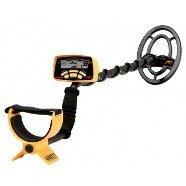 The CSI 250 Ground Search Metal Detector is designed for crime scene investigations, providing assistance in the location of certain types of evidence. Items are displayed on its LCD screen, and its superior technology can accurately determine the type of metal as well as the caliber of small shell casing. Thirteen LED Tactical Lights that snap on to hand-held weapons, enabling enhanced illumination for officers in darkened environments. These lights allow for positive identification of potential offenders and innocent victims. Four Glock Semi-Automatic Tactical Training Pistols replicating cosmetic attributes such as dimension, weight, feel, control placement, and handling as regular duty pistols. Made of corrosive-resistant reinforced polymer, these training pistols are rugged and easily identifiable as “safe” training weapons. Possessing the same mechanics and automations of actual pistols makes this the perfect training instrument in the acquisition of skills, proper handling, transporting, retaining, and presenting through intensive and extensive security drills. Five GPS Modems/Antennas mount underneath police cruisers, allowing for direct interface with Lancaster Countywide Communication's GIS tracking system for real-time location and status updates of police vehicles while on patrol. The ability to locate officers while in the field is a valuable tool in ensuring officer safety. 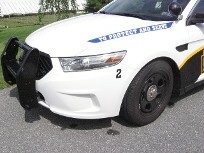 These Front Mount Push Bumpers for the department's three newest cruisers are the first time this type of equipment has been utilized on West Lampeter Township police vehicles. These push bumpers are an officer safety feature for moving vehicles at accident scenes under emergency circumstances, as well as moving large injured animals from hazardous roadways. Ammunition Clearing Trap provides officer safety while loading and unloading their firearm. This safety chamber unit is permamntly placed in the Police Department Armory and will enhance overall departmental safety while handling firearm ammunition. Both TVs are mounted in the squad room. One monitor displays a constant steam of current news from around the world and the country. It is very important for the police to be up to date with what is happening in a neighboring state or region. Crime can often overflow into our area and may have a domino effect here. 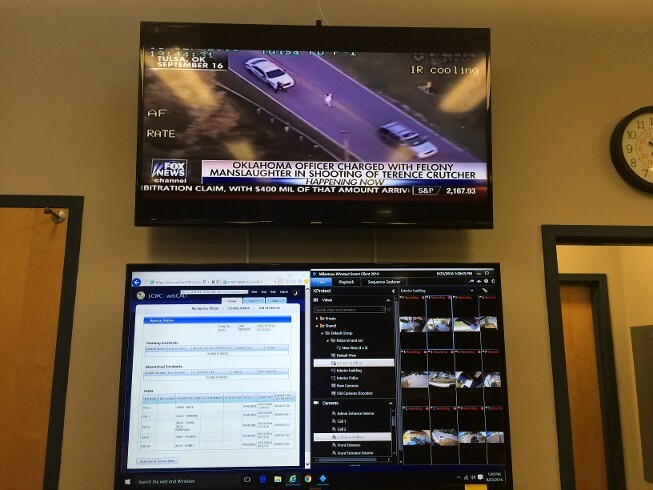 The second TV, utilizing a split screen, will monitor the surveillance cameras for the holding cell, the building security cameras, and CAD which is the Lancaster County Dispatch. Both screens can easily be seen at any location in the Squad room unlike the 17 inch used before. These newly purchased tachtical optics are perfect for giving our police speed and versatility in close quarter situations without the need for night vision capability. 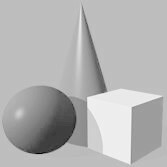 Fast and accurate target acquisition is critical where either the operator or the threat(s) are moving rapidly. Engaging around physical barriers or in awkward shooting positions are now made with ease while ensuring rapid rectile to target lock-on. 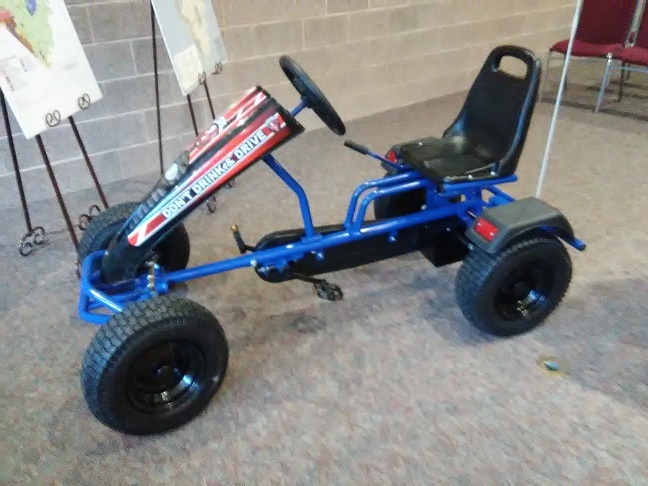 This Kart allows the participants to safely drive a simulated course "sober", then "impaired" while wearing impairment goggles. As in real life situations, the participant begins with complete control of the cart, but then becomes impaired while wearing the goggles, and is not in 100% in control. The cart will be used as a training tool for future young drivers showing how driving skills are impaired when under the effect of alcohol, drugs, prescription medicine or even lack of sleep. In April 2019, the Friends of the Force purchased 15 of the WLTPD's first tasers pictured above, along with accompanying warranty, holsters, battery packs and standard carridges. 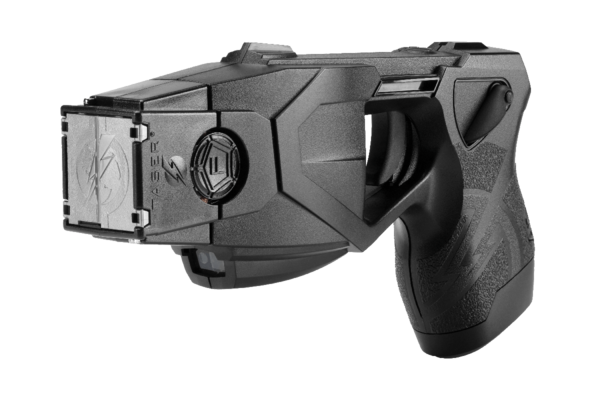 Tasers are a "less than lethal" use of force option that may assist officers dealing with combative, violent or aggrssive people. When deployed at a safe distance, there is a reduced risk of injury to police officers, offenders, and members of the public.